21-time award winning country star Dwight Yoakam plays the Peoria Civic Center Theater on Wednesday, May 22 at 8:00 pm. Yoakam has sold more than 25 million albums worldwide and is a 21-time nominated, multiple GRAMMY Award winner. He has 12 gold albums and 9 platinum or multi-platinum albums, with five of those albums topping Billboard’s Country Albums chart and another 14 landing in the Top 10. Nearly 40 of Yoakam’s singles have charted on Billboard, with 14 peaking in the Top 10. In September of 2016, Yoakam released his first ever bluegrass album, Swimmin’ Pools, Movie Stars…, on Sugar Hill Records. Featuring a band of bluegrass luminaries, this album boasts a collection of reinterpreted favorites from his catalogue, as well as a cover of Prince’s “Purple Rain.” Produced by nine-time GRAMMY winner Gary Paczosa (Alison Krauss, Dolly Parton), Jon Randall (songwriter of “Whiskey Lullaby”), and Yoakam himself, and mixed by Chris Lord-Alge, this album reflects the love for bluegrass music that Yoakam developed at an early age in Kentucky and that has inspired him for many years thereafter. In 2015, Yoakam released his album Second Hand Heart on Warner/Reprise records, the follow up to his critically-acclaimed album 3 Pears. He received the Artist of the Year award at the 2013 Americana Music Honors & Awards ceremony, the most prestigious award offered by the organization. Tickets for the Peoria show go on sale Friday, January 18 at 10:00 am. 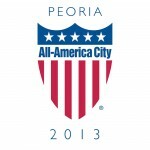 Tickets ranging from $36 to $96, can be purchased on www.ticketmaster.com or in-person at the Toyota Box Office, located inside the Peoria Civic Center.